Hair Transplant is an idealistic cosmetic dermatological surgery that is performed under specialised hair transplant surgeons for the purpose of hair restoration. There are two methods under which it is done: Follicular Unit Transplant (FUT) and Follicular Unit Extraction (FUE). And both the procedures follow the technique of micro-grafting that makes way for a naturalistic coverage of the bald area. Donor hair is the hair at the patient’s back of the scalp and above the ear that is used for hair transplantation. For a hair restoration the hair has to be the patient’s own because anyone else’s hair would not suit to another. Hair loss once triggered doesn’t really stop, but the hair at the back of the scalp is usually least prone to miniaturization and hair loss and after a transplant, is likely to last a lifetime. Is the area of the bald patch in which is to receive the hair donor hair for ultimate and permanent coverage. The recipient area is created making tiny slits in which the donor hair is planted much like a sapling is planted to the soil. 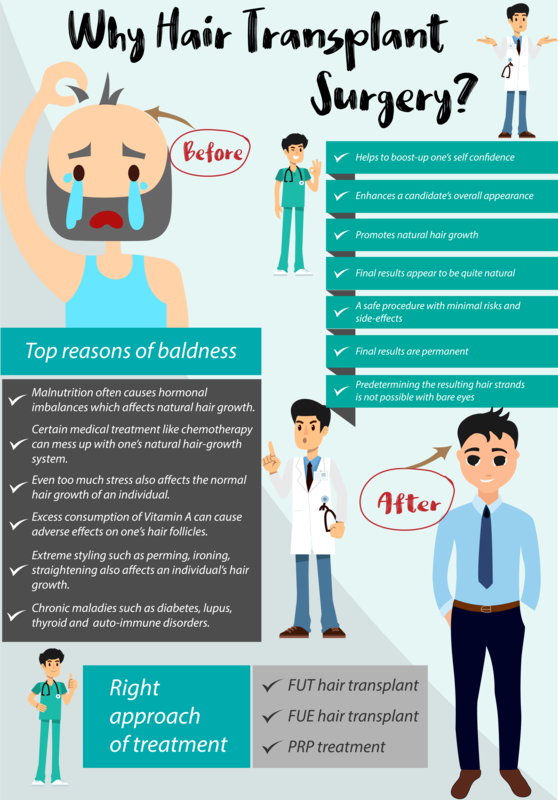 As hair loss is the typical symptom of androgenic alopecia wherein usually a certain amount of hair in the frontal and top of the scalp is exposed to baldness due to male androgenic reactions, and the hair at the back of the scalp and above the ears of the horseshoe boundary happens to be less exaggerated to baldness being stronger and resistant to androgenic reactions. So when in this place a hair transplant surgery being conducted that can only use the patient’s own androgen resistant hair, it also depends on the fact, that when the androgen resistant hair is transplanted to the androgen affected recipient site, the donor hair carry forward it’s androgen resistant charactestics to its new place as well with donor dominance and will actually dominate the androgenic impact on the recipient site and would grow as usual as it has grown in its original place. Not all the donor hair has the same amount of donor dominance, but usually they are dominant enough to last a lifetime. Scalp laxity is basically the ability of the scalp skin to stretch, and in a hair transplant surgery its function is important for performing the FUT procedure because as the strip of skin will be removed from the mid portion of the back of the scalp and the two ends of the opening will be closed and sutured, the scalp laxity will avoid tension and heal of as according to normal time. Modern Hair Transplant surgery is done under micro grafting technique which outdates the traditional mini-grafting technique that resulted in unnatural patchy appearance, popularly referred as pluggy transplants. Instead of it, microscopic view of the scalp identifies that a hair follicle doesn’t only grow a single strand of hair, but naturally there occurs in 2,3,4,5 groups of individual hair follicles under a bigger follicle that is referred as hair follicular unit. And the modern micro-grafting technique works with those follicular units of hair that is extracted or harvested with both FUT or FUE instrumentation and methods. The hair follicles are extracted with a little fatty tissue of the scalp to support and bind together the follicles with moisture and life, and the whole thing is called a hair graft that is replanted to the recipient area following some artistic patterns to suit for a fuller appearance. Trichology is the study of hair that includes anything that pertains to hair. A trichologist is a person who is educated about trichology and can successfully conduct several tests, diagnostics and determine or take decisions about hair loss; hair thinning; an however a hair transplant surgeon is more skilled with the technicalities of a surgery.